These talented teachers and educational leaders are dedicated to engaging their students through digital assessments. Click to read their bios to learn more about how they use Edcite throughout the year. 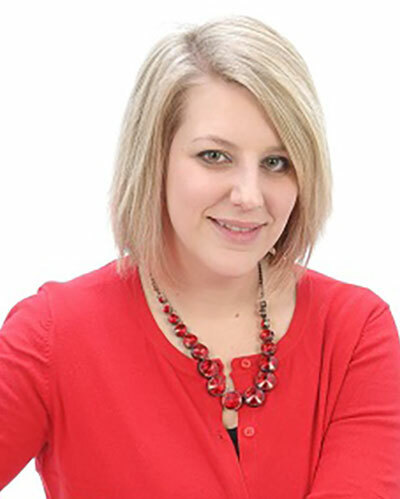 Adrienne Winders graduated from Muskingum University in 2000 with a degree in Elementary Education. She received her Master's in Curriculum and Instruction from The University of New England in 2009. Adrienne has taught in both the private and public school setting. 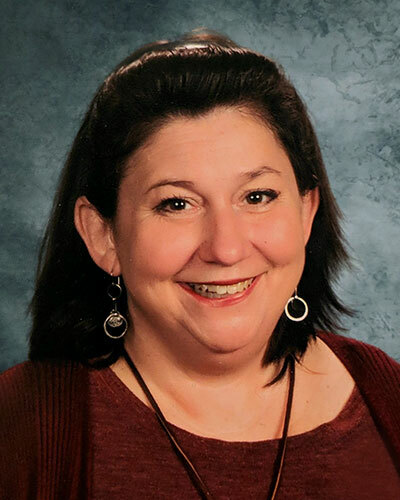 She is in her 15th year of teaching with the past nine years spent at Millersport Elementary, where she currently teaches 5th and 6th grade Social Studies and 6th Grade English Language Arts. Adrienne is always willing to try new and innovative ideas to help engage and instruct her students. When Adrienne is not working she can be found watching her three children with their sporting events or working outside (when the weather is nice) in her yard. Angel Rowland is a high school math teacher at Ware County High School in Waycross, Georgia. Over the past 17 years, she has taught various high school math classes, but is currently teaching Algebra I and Geometry. Angel’s husband, who is a business and technology teacher at WCHS, introduced her to Edcite last year. She has been using it for practice, test reviews, and tests ever since. Outside of school, Angel enjoys geocaching, traveling, singing, and spending time with her husband and 2 young children. Arjun Ravindran is a middle school math teacher in Kansas City, Missouri. After earning a B.A. 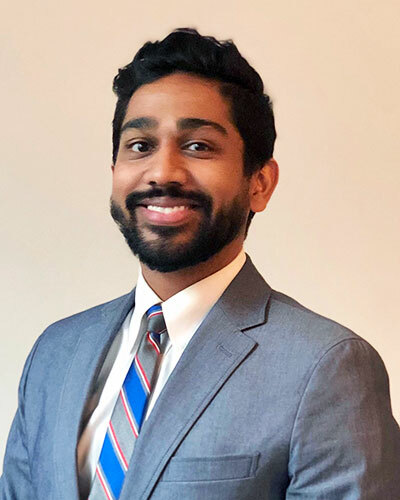 from the University of Florida, joining Teach For America, and earning his M.Ed from the University of Missouri - Saint Louis, Arjun taught for 6 years at Central Middle in the Kansas City Public Schools district. From his first exposure to the Edcite platform, Arjun saw the huge potential Edcite had to help increase student achievement in his and other KC classrooms. Outside of his work in the classroom, Arjun loves travel, food, and photography. 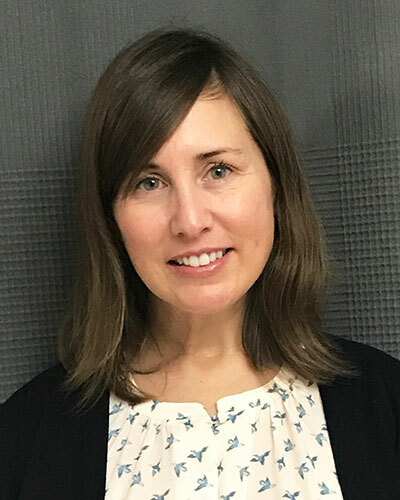 Beth Knecht is an 8th grade language arts teacher at River View Junior High School in Warsaw, Ohio. 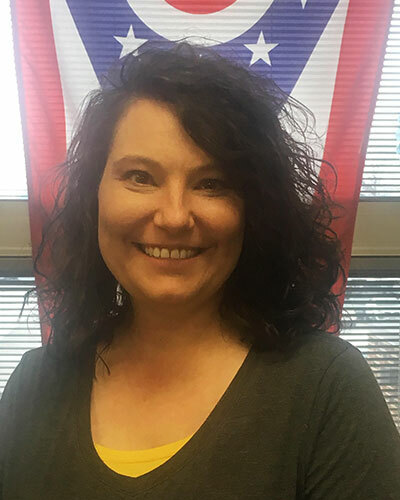 She earned her Bachelor's of Education in Integrated Language Arts from Kent State University and accepted a teaching position at River View Junior High School. Since then she has earned her Master's of Education in Teacher Leadership through Wright State University. Knecht is passionate about meeting students where they are and helping them prosper through choice reading and individualized writing goals. She values the EdCite platform and the readiness that it provides her students for the state tests at the end of the year. She believes all subject areas should be using EdCite to give assessments and help students become familiar with taking assessments online in our 21st century world. Outside of the classroom, she loves traveling, running, gardening and baking. Carissa Richardson Lahrman is a 7th grade Science and 7th/8th grade Engineering teacher in Fort Wayne, Indiana. 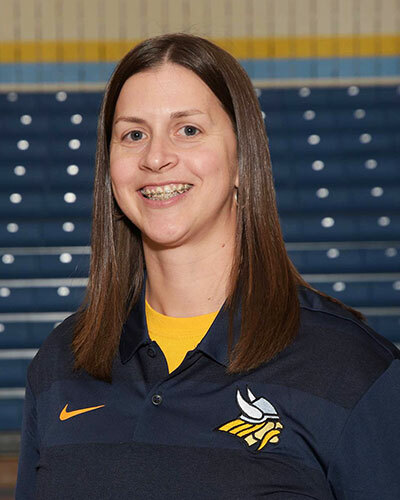 After earning a bachelor of science in Middle Childhood Education from Kent State University, Carissa began teaching in Fort Wayne Community Schools. She is very passionate about insuring mastery of concepts as has employed Edcite as a means of pre-assessment, practice, and post assessment. 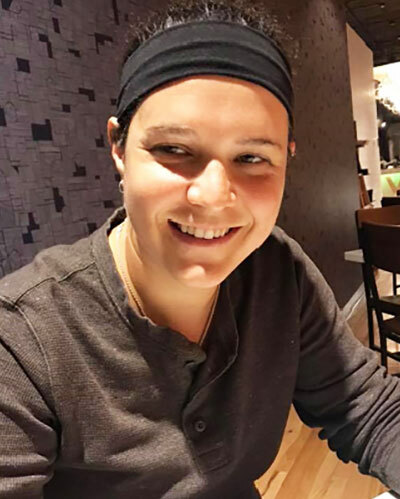 Carissa administers the Chapman Student Exchange Fund an endowment that facilitates cultural exchanges between local and international students. Outside of the classroom, Carissa is an avid scuba diver and enjoys traveling, camping, and spending time with friends and families. Christie Edwards is an elementary school teacher in Plaquemine, Louisiana. 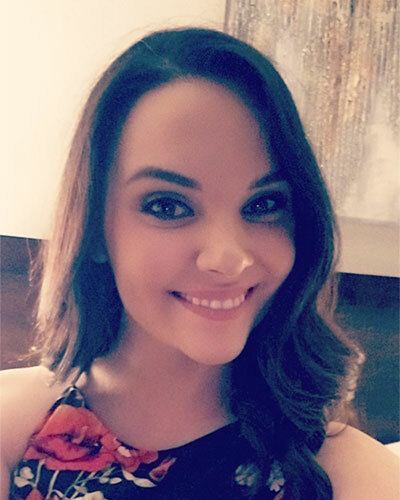 After earning a B.Ed from Southeastern Louisiana University, she accepted a job as a fifth grade teacher at Iberville’s Math, Science, and Arts Academy-West Magnet School. She is currently pursuing her M.Ed at Louisiana State University Shreveport. She is passionate about teaching reading, writing, and history to her students. Edcite makes it easy for her to create online assessments that align with the standards that she teaches in her classroom. Outside of the classroom, Christie loves to be outdoors and spend time with family and friends. Christopher Olson is a high school teacher in Washington, DC. He graduated from The Catholic University of America with a B.S. in Mathematics, Secondary Education program. During the teaching semester of his senior year, he was offered a full-time position in the math department at Columbia Heights Education Campus, part of District of Columbia Public Schools. Chris uses Edcite to help students to track their own mastery progress, as well as provide the best data-driven instruction to his students. Outside of the classroom, Chris enjoys backwoods camping, cooking, and playing guitar. 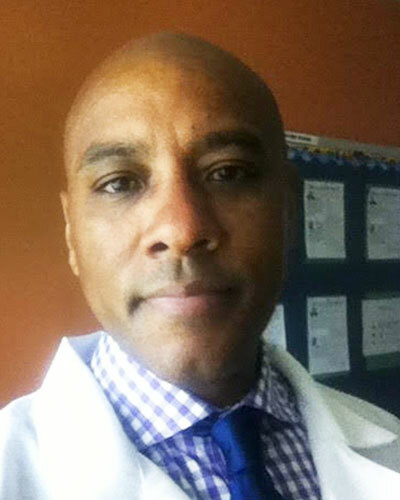 Darwin Bobbitt is an elementary math and science teacher in Cincinnati, OH. He earned his B.S. in elementary education from Central State University, located in Wilberforce, OH and his MEd. in Educational Leadership from Miami University, Oxford, OH. Students in Mr. Bobbitt’s math class have made tremendous growth using Edcite to monitor performance. 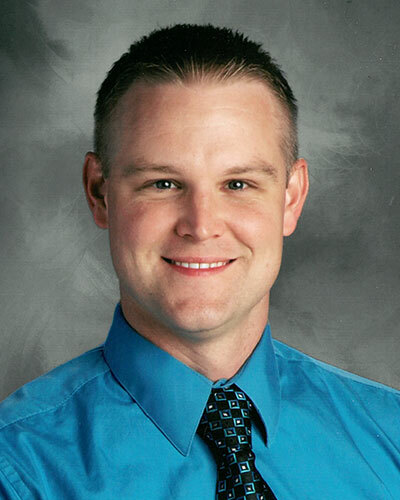 Outside of the classroom, Mr. Bobbitt enjoys working out, watching sports, and listening to jazz. Dr. Kristen Taylor is a principal in St. Louis, MO. 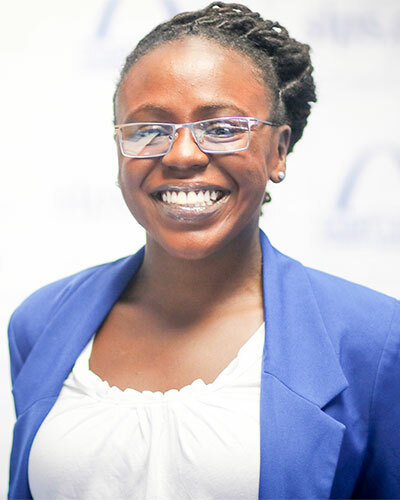 After earning her master's degree, she joined Teach For America in the St. Louis region, and has been working in elementary and middle schools in St. Louis ever since! Dr. Taylor is extremely passionate about ensuring that students and teachers have all the data and practice they need to reflect and adjust - so EdCite was a PERFECT fit! Outside of her administrative duties at Jefferson Elementary School, Dr. Taylor enjoys cuddling her cat and making sure that Target never goes out of business! Eric Morrow is a middle school teacher in Blue Springs, Missouri. He holds degrees in middle school mathematics and science education. He also has a master’s degree in secondary school administration. 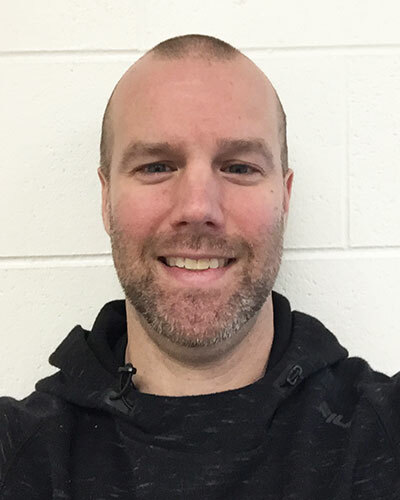 Eric has been teaching for 14 years and is always looking for ways to enhance student engagement and performance in his classroom. 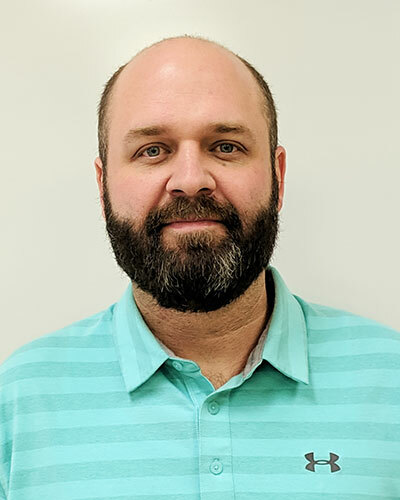 He has taken a lead role in creating and implementing Edcite as a testing platform in all four of the district’s middle schools. Outside of work, Eric loves traveling and spending time with his two elementary age daughters and wife of 12 years. 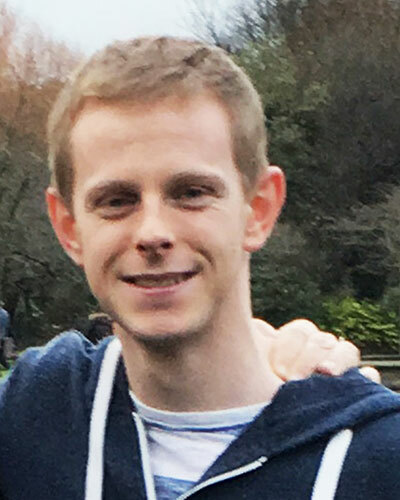 Graeme Higgins is a primary school teacher in Dublin, Ireland. After earning a B.Ed from Trinity College Dublin, Graeme took a teaching position at Gaelscoil Míde, an Irish speaking primary school. Graeme is very passionate about the Irish language and has taken a very proactive role in helping offer Edcite as Gaeilge (in Irish) for all schools in Ireland. Outside of the classroom, Graeme loves playing piano, traveling, and keeping fit and active! 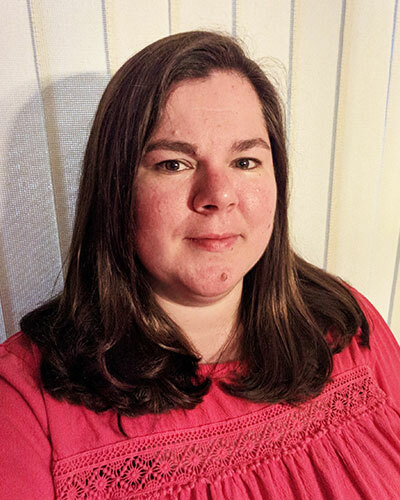 Jenni Stadtmiller is an Instructional Technology Consultant for Hamilton County Educational Service Center in Cincinnati, Ohio. 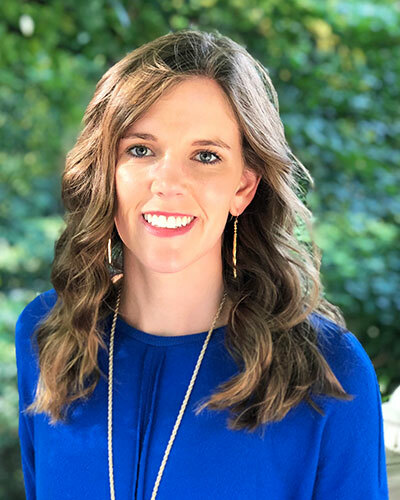 After teaching math and language arts to fourth graders, she received her masters in Educational Leadership and found a passion for leading teachers. She loves to recommend Edcite to teachers because it is intuitive to teachers and engaging for students—helping both groups understand what assessment looks like off of paper. Outside of work, Jenni sings all over Cincinnati and enjoys escape rooms with her husband and kids! Jesse McKinley is a classroom teacher in Springdale, Arkansas. 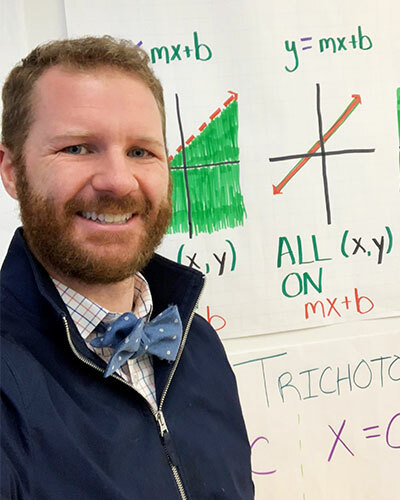 After earning a B.A in mathematics and a M.A.T in secondary education from the University of Arkansas, Jesse took a teaching position at Central Junior High teaching 8th grade Math and Algebra 1. Jesse enjoys using Edctie in his classroom to assess his students progress. Outside the classroom, Jesse loves playing golf, going to the gym, and doing fun activities with his family. John Marfy is a high school teacher at Crestwood High School in Mantua, Ohio. 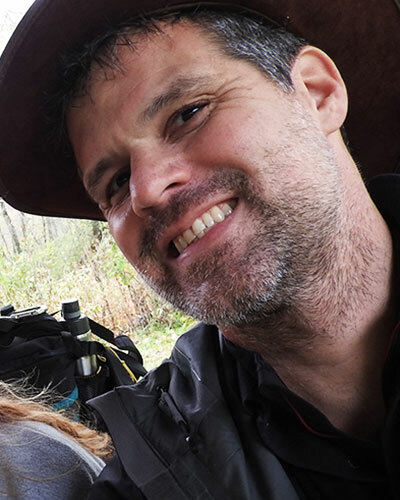 John was first hired to teach video production and visual arts. John lived in Spain and was educated in the UK. As a child, John was fortunate to travel extensively around Europe with his Hungarian parents. Because of this, John is very passionate about teaching Modern World History, in addition to his technology classes. In addition to English, John is fluent in Spanish and Hungarian and lives with his wife, three children and dog, Winston. I am a 7th grade math teacher at Edison Computech Middle School in Fresno, California. I use EdCite because it allows me to create more diverse digital assessments than the traditional multiple choice. It also provides questions types similar to the SBAC/CAASPP so students are able to practice being assessed on a similar platform, while still giving me specific feedback and data to use in informing my instruction. Outside of work, I enjoy spending time with my family (which includes my wife and twin 2-year old boys) and being a huge Star Wars fan. To that end, I have recently starting playing Star Wars collectible card game as well (Star Wars Destiny). My name is Jose Alonso. 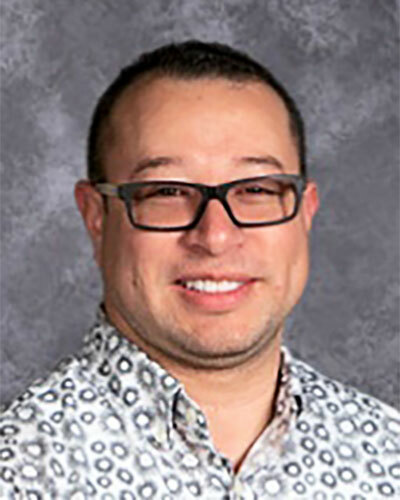 I am a 5th grade Spanish teacher at Lutacaga Elementary a Dual Language School in Othello, WA. My district uses Edcite to assess and keep track of data. I started using Edcite to create my daily quizzes in math, math tests and reading assessments. I use it in both English and Spanish. I enjoy using Edcite because it exposes my students to different formats of questions and allows them to transfer and process information electronically which is the way the state assessments are set up. I also like Edcite because it provides immediate data to the students and helps them reflect on their work. Outside of school, I enjoy spending time with my family and the outdoors. I have been teaching 18 years. I have a Bachelor's in Biology and a Masters in education both from Wright State University. I first started using edcite in my classroom 5 years ago as a way to give practice air tests. As the years have progressed I started using edcite for all my unit tests, now I use it for worksheets, formative assessments, and exit slips. The data edcite gives you back makes adjusting curriculum much easier for a teacher. I love to read and take family vacations when I can. 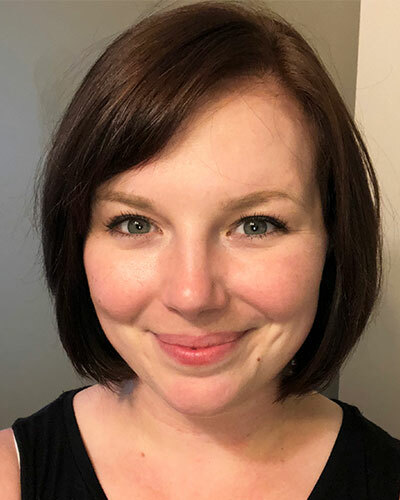 Julia McIntyre (formerly Anderson) is a fifth year, fourth grade teacher in the rural farming community of Othello, in eastern Washington state. Here at Hiawatha Elementary in Othello, Julia uses Edcite for lots of forms of assessment. She says the teachers love it because it provides almost instantaneous feedback for our students. As a teacher, Julia loves to use it to look for patterns on assessments either in areas of strength, or in areas of improvement, particularly when she connects questions to Common Core State Standards. 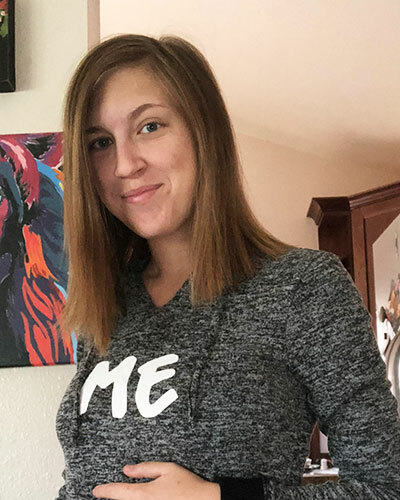 This year has been an exciting one for Julia—over the summer, she found out she was pregnant with her first child. Julia has a baby girl named Violet. Consequently, her normal favorite hobbies of traveling and doing anything that spikes my adrenaline are probably going to change! Still, I love to spend time with her family—her husband, in-laws, siblings, dad, and niece and nephew. Katie Pennell is an Instructional Specialist for Technology & Data at Fairfield City Schools, Fairfield, Ohio. This district uses Edcite for two purposes. The reporting system gives the district much needed data to drive instruction and the TEI questions give students practice on the technology needed for the State Tests. In her spare time, Pennell play bari sax and alto sax in her church praise band and in Naz Jazz, a jazz band. She loves spending time with her husband on his Harley, her puppy, and her two adult daughters. Kelen Weathers is a secondary school teacher in Cincinnati, Ohio. After earning a Bachelor in History and Political Science he got a Masters in Educational Leadership from American College of Education. He currently teaches American Government at Loveland City Schools for Juniors. He uses Edcite as an AIR test review tool to breakdown and analyze specific student needs. When not spending time with the family, he loves endurance sports and coaching. 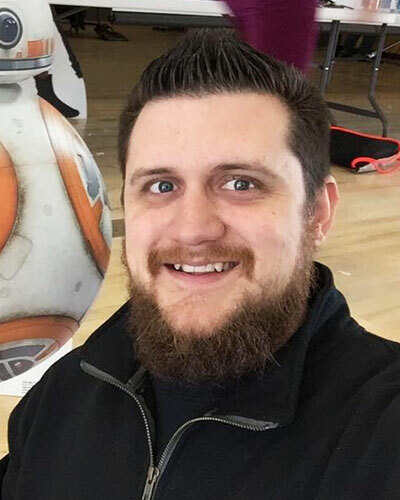 Kevin Braaten is a social teacher at Berea-Midpark High School in Berea, Ohio. He uses Edcite in a variety ways mainly to assess students in both formative and summative assessments. He also uses it to prepare his students for the high stakes government test in Ohio. 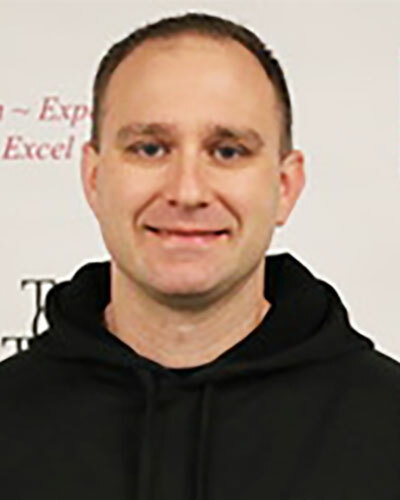 Kevin coaches girls basketball at BMHS and enjoys watching his kids participate in their activities and sports when he is not teaching. 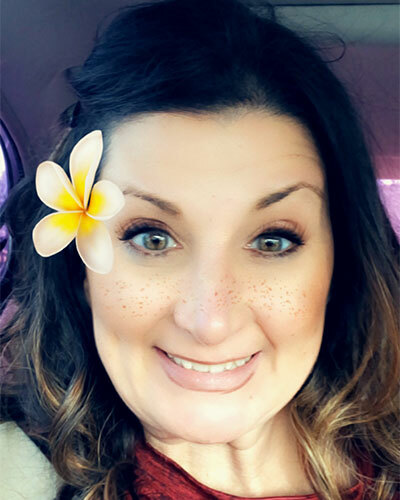 Kim Brown is a 5th grade Reading, Writing, and Social Studies teacher for Bellefontaine City Schools in Bellefontaine, Ohio. 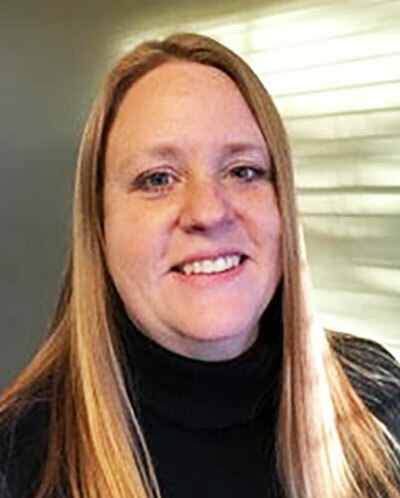 Kim completed her undergraduate work at Ball State University in Muncie, Indiana and graduate work at Indiana Wesleyan University in Marion, Indiana. Kim uses Edcite as a key part of Summative assessments in Reading. Outside of the classroom, Kim enjoys running, scrapbooking, and spending time with her family. 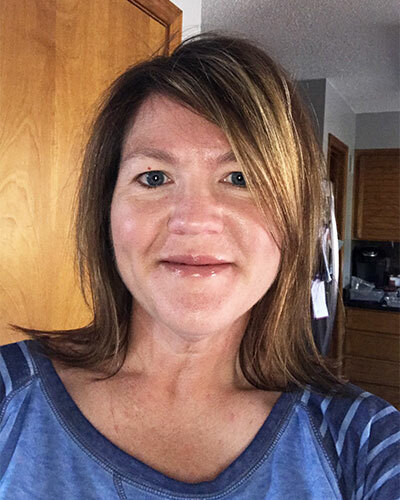 Kristi Williams is a high school English and reading teacher at Blue Springs South High School in Blue Springs, Missouri. Williams earned her BSed in English education and journalism at Northwest Missouri State University. 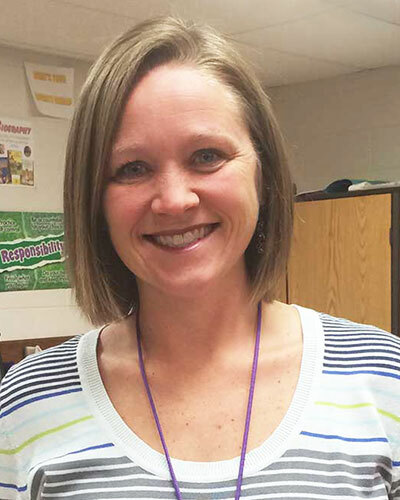 Williams accepted an English teaching position at Blue Springs South and has worn many hats since 2004: English teacher, READ 180 teacher, writing reading curriculum, and helping struggling students at Blue Springs South. Williams was one of the first in her building to begin using Edcite due to the ease of use and the similarity to the platform the state of Missouri uses for its EOC test every spring. She now provides support to colleagues and encourages them to use the platform. Blue Springs South is a Kansas City suburban area high school serving 10-12 grade students. Outside of the classroom, Williams is South’s head softball coach, she has three children ages 17, 13, and 5, and she enjoys being active. Laura Mills is a fourth grade teacher in Brooklyn, Ohio. 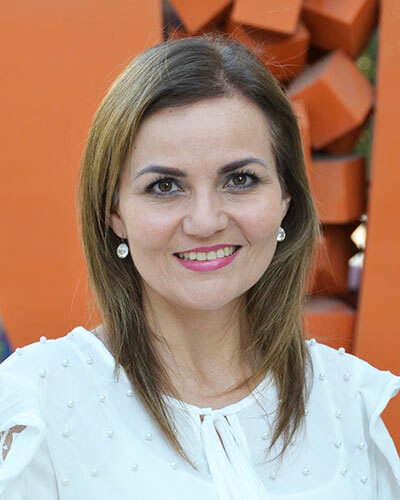 She holds a Master of Education in Curriculum and Instruction with an Computers and Technology Endorsement. She is very passionate about the use of technology and the engagement of her students by its use. She currently teaches 4th Grade Social Studies, and incorporates technology as much as possible into her lessons and curriculum. Edcite has been a wonderful tool for her classes and students over the past years. Outside of the classroom, Laura loves spending time with her family and is a self-proclaimed TV and movie fanatic. Watch Laura's testimonial here. Laura Tiller is a high school social studies teacher at River Valley High School in Caledonia, Ohio. Laura is dedicated to helping her students become successful in and out of the classroom. She strongly believes in using Edcite in her American History classroom as a useful form of assessment for students in preparation of state testing! Outside of the classroom, she is a girls basketball coach and loves spending time with her family. Lisa Blachaniec is a 4th grade teacher at Arrowhead Primary School in Ohio. She enjoys using Edcite to create assessments across the curriculum and also utilizing the many wonderful assignments written by others. She finds one of the benefits of the program is being able to use data to drive instruction and remediation. Outside of school, she enjoys reading and spending time with her family. Lori Wegman is an Instructional Specialist for Fairfield City Schools in Ohio. She is a 23 year veteran educator with a B.S. in Biological Sciences from Lee University, TN and currently pursuing her M.Ed. in Educational Technology through Miami University, OH. She has taught science in many settings from public schools to museums and to many ages from toddlers to adults. She is passionate about doing whatever it takes to find that “lightbulb” moment for her students. Lori helps her teachers use Edcite for common assessments, giving students the technology skills needed for on-line testing and using the data to inform their instruction. 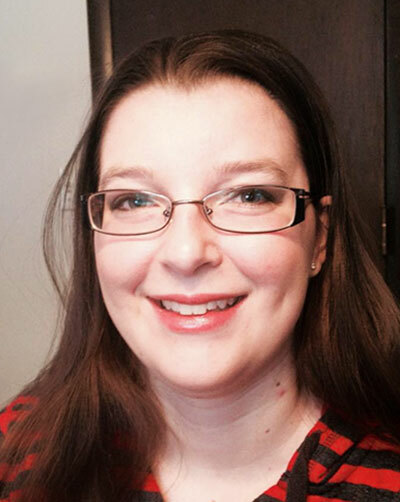 Outside the classroom, Lori loves singing, theater, nature, and being a sci-fi/fantasy geek. My name is Maria Sohns, and I am a 7th grade ELA teacher at Sunman Dearborn Middle School. My school is located in Southeastern Indiana, right outside of Cincinnati. I started using Edcite in 2014 when the state adopted new standards, and it was very difficult to find resources to use in my classroom. I really like Edcite because it gives my students the opportunity to practice test type questions, even the technology-enhanced ones. Outside of school, I am a mom of 2 boys, Hunter (15) and Landry (7). I am a sports fanatic, and so is everyone else in my family. Both of my boys play 3 sports, so they keep me super busy. 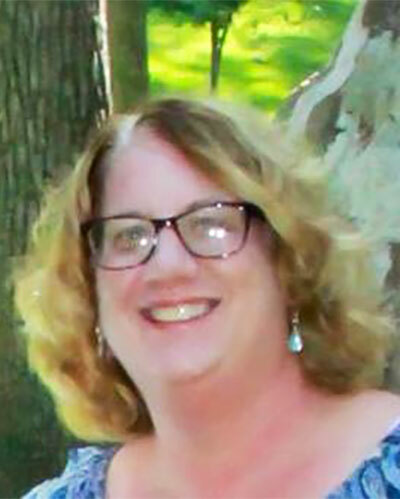 Mary LaBrake is a 5th grade math teacher at South Elementary in Dover, Ohio. Beginning for the 2017-18 school year, Mary decided to create all of her unit tests online, hoping that by using edcite, it would increase her students confidence and help them feel more prepared for the online State test. By using edcite, she was able to determine common errors students make while testing online, and she was able to create questions following the format of the state test. Outside of school, Mary loves to spend quality time with her family and friends, spending time outdoors, and attending sporting events. 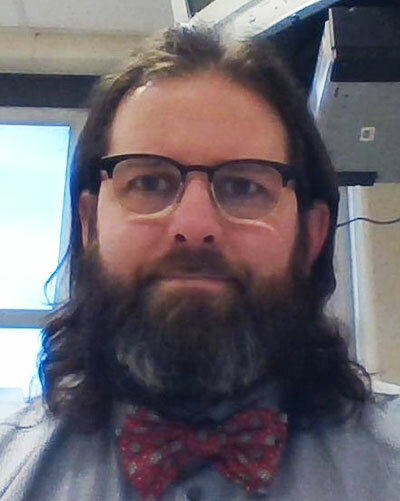 Matthew Citron is a secondary school teacher in Ohio with a focus on the biological sciences. Mr. Citron has taught in many states including Montana, New York, Pennsylvania and Ohio. His main enjoyment in education comes from seeing the spark of recognition in high school students; that moment when the class, or just an individual exclaims, "ohhh- I get it!" As a early adopter of Edcite in his district, Matthew has become a "go to guy" when helping to get other faculty on board. In his free time, Matthew is an avid outdoorsman. Hiking, biking, water sports and climbing are just some of his leisure pursuits. Orelia Gonzalez is a Middle School teacher in Nuevo Leon, Mexico. She has been teaching English for eleven years now, moving from 5th grade to 9th-grade classrooms. Actually, she teaches English as a foreign language in Instituto Brillamont. Her favorite subjects are Language Arts and Social Studies, and she also enjoys advising students on the Models of the United Nations. She is a keen user of Edcite.com and likes to encourage other teachers to use it as well. Outside the classroom, Orelia likes to spend time with her family and to travel. 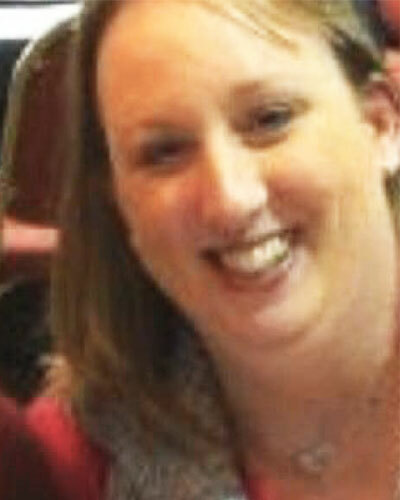 Rachel Brown is a middle school teacher at DeKalb Middle school in Waterloo, Indiana. After earning a B.S. from Manchester University, Rachel began her teaching in 4th grade before moving to teach 6th-grade language arts. Rachel loves teaching language arts and exploring new novels with her students. Rachel has been using Edcite for a few years now and has begun sharing her knowledge of the website with her colleges. She says the best part of using Edcite is the variety of question types available to use to expand learning opportunities. Outside of the classroom, Rachel coaches middle and high school soccer, enjoys reading, relaxing, and doing puzzles. 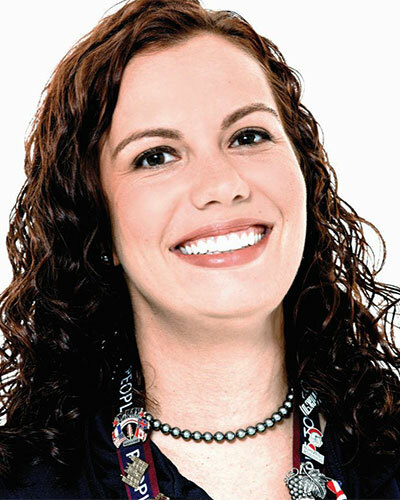 Rachel Carter is a Technology Integration Specialist for Youngstown City Schools in Youngstown, Ohio. 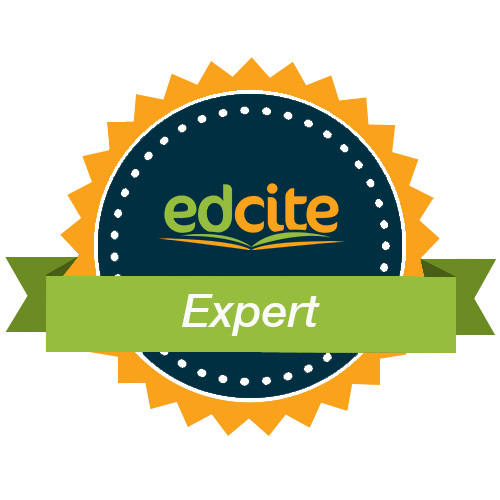 Rachel strongly believes in the value of using Edcite for regular formative assessments. That way students have the opportunity to experience high stakes question formats routinely and become comfortable with both content and format prior to the high stakes test. Outside of work, Rachel enjoys reading, baking, trying out new recipes and the occasional movie night. 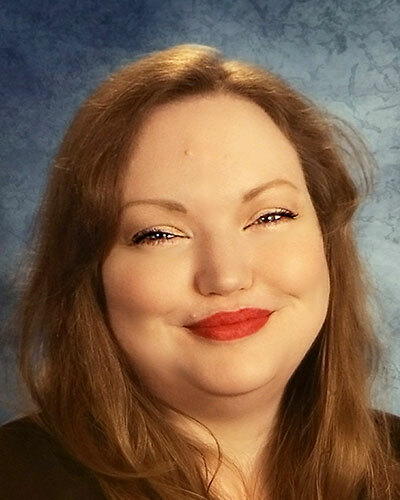 Rachel Nicholson is a junior high school teacher in Springdale, Arkansas. 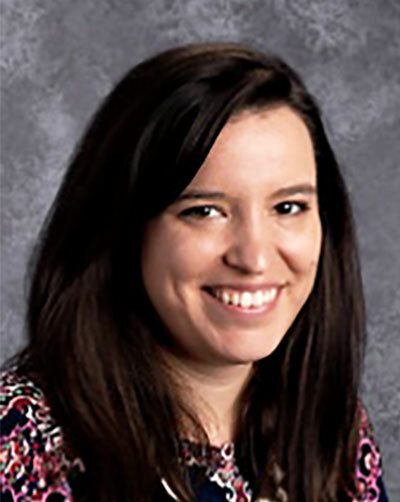 After earning a Bachelors in Mathematics and Master of Arts in Teaching from the University of Arkansas, Nicholson took a teaching position at Central Junior High School. She loves using Edcite to collaborate with peers and quickly assess student learning. 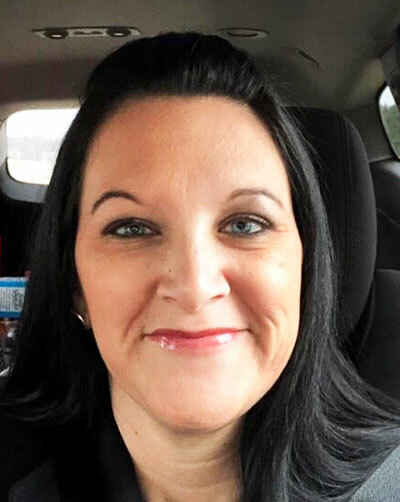 Outside of school, she enjoys going to Arkansas Razorback football and baseball games, and spending time exploring Northwest Arkansas with her husband, daughter, and two dogs. Rebecca Strom is a 4th grade teacher in Pinedale, Wyoming. She uses Edcite to incorporate technology into learning and assessing. Outside of the classroom, Rebecca loves cross-country skiing, boating, and backpacking. Sandra Temple is a math teacher at Central Junior High in Springdale, Arkansas. After earning a BSE degree, she worked in the business world for over 10 years and then went back into teaching. She has been teaching now for 14 years and has a Masters Degree in Curriculum and Instruction. Along with teaching math to 8th graders she is the head girls basketball coach and has been doing that for 6 years. Outside of the school environment she loves to spend time with her husband, kids, and granddaughter, as well as a love for reading books. 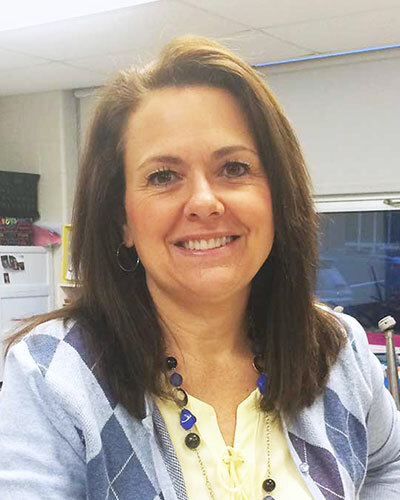 Shelly Carpenter is a seventh grade mathematics educator in Byesville, Ohio. After earning a master’s degree in Educational Technology, she also is a co-leader in an after school technology club. She uses Edcite to get the students comfortable with their state test format to help ease test anxiety. 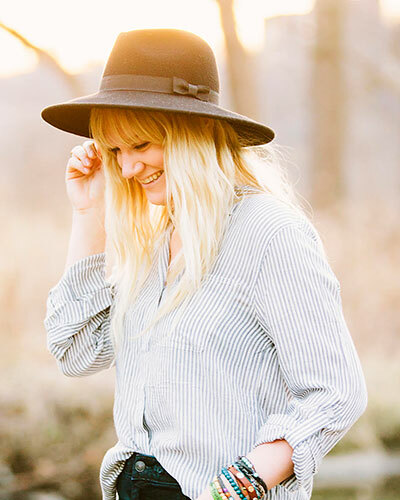 Outside of the classroom, Shelly enjoys photography, hiking, and playing live music. 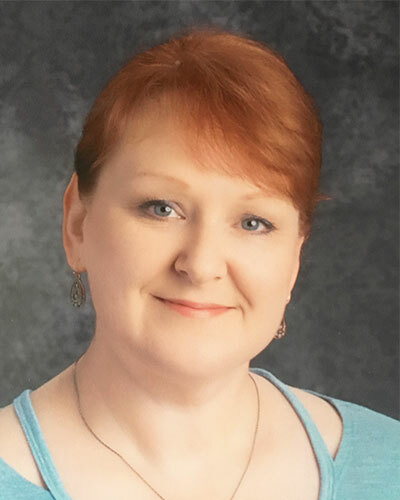 Stacy Perry teaches advanced math at Central Junior High in Springdale, Arkansas. She earned her BSE from the University of Arkansas, and is now in her 31st year teaching. She began using Edcite in early 2015 to better prepare students for the upcoming ACT Aspire. She has promoted Edcite not only in her school but her district. She uses Edcite bi-weekly for quizzes, exit slips, practice with different question types, reviews and tests. 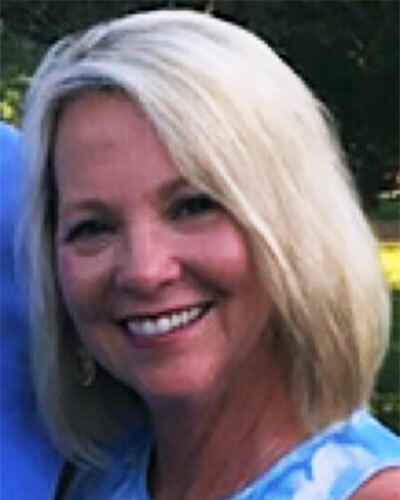 When Stacy’s not teaching, she and her husband Bryan enjoy sporting events, cycling, serving in their church, attending their grandchildren’s activities and avidly “Calling the Hogs”. Stephanie Cummings is a 6th grade ELA/Reading teacher in my 18th year of teaching. She teaches at Blanchester Middle School which is in Ohio. Cummings has used Edcite for about 4-5 years. She likes using Edcite because she can make my assessments math the rigor of the state tests that are given in our state. Cummings likes the variety of questions in Edcite's library. The data available once students are finished is well thought out and easy to read. Students can get instant feed back and the questions she needs to grade can be done so in a couple of different ways, which she likes. Sometimes Cummings likes grading them one student at a time. Other times, she likes to grade each question before moving on a different question. Outside of work Cummings has two kids of her own that keep her busy with gymnastics, scouts and basketball. She likes to go to the movies, spend time with our families, and crafts. Suzanna McMahon has a Master's Degree in Middle Childhood Education. She currently teaches T-Y Tygers as an 8th Grade Social Studies teacher at Mansfield Middle School. 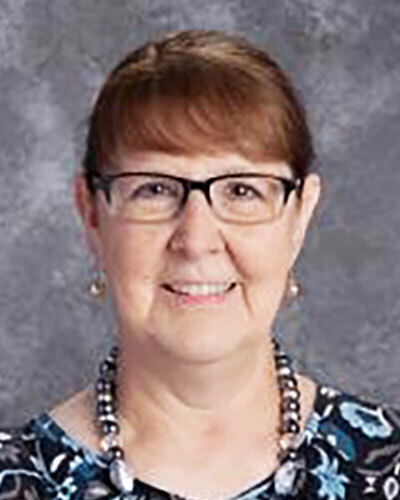 McMahon has been teaching a little over 16 years total with 11 of those years being with Mansfield City Schools in Mansfield, Ohio. At the Trumbull Career & Technical Center, the students are one to one with iPads. Everything they do is electronic. 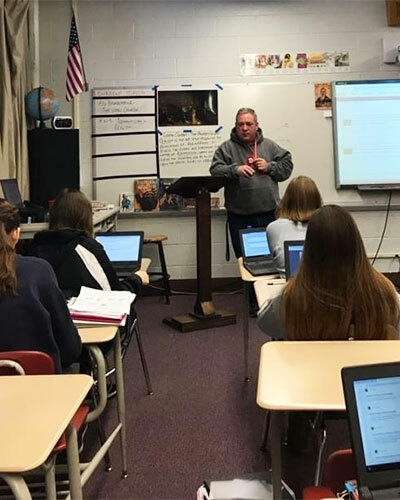 Edcite has been an amazing tool in Thomas Gorse's classroom and has been used for class discussion, pre/post assessments, homework assignments, and even group projects. Edcite has become most useful in preparing his students for the End of Course Exams given by the State of Ohio. Gorse is very involved in my church, love wood working and building projects, and spending lots of time with his wife and two little girls, Alayna and Mezmoriah. Timothy Carter is an Algebra 1 teacher at Green Street Academy, a public charter school in West Baltimore, MD. Mr. Carter's mission is to build his students confidence and self-worth through an accessible and rigorous math curriculum. Edcite has helped him work towards this mission by providing a platform with creative tools for assessment, instant feedback to support growth mindset, and data analysis to help cater instruction to students with significant academic needs. Mr. Carter enjoys spending his free time relaxing with his wife and two kids, reading, and playing video games. 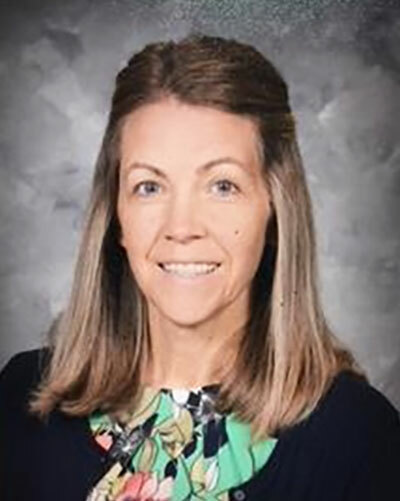 Tracey Tisdale is currently a teacher at Walnut Township School District (Millersport Schools) in Ohio. She earned her BSED from Ohio University. She also holds a MSED from the University of New England in Curriculum and Instruction. 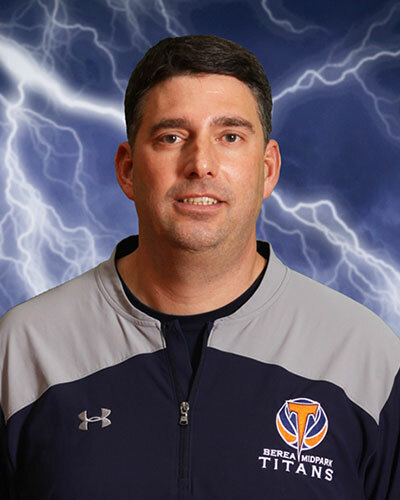 Tisdale has been teaching middle school students for 23 years. Her passion in education is serving as a facilitator of her students' learning. Edcite has become an excellent fit for that love of empowering her students to advance their knowledge in all areas of their assigned curriculum and personal interests. Knowing that her kids are entering into a vast world of technology, with a multitude of resources at their fingertips, Edcite is the perfect platform for exploration and assessments. When free time rolls around, you will find Tracey working outside on anything that keeps her in the beautiful outdoors.